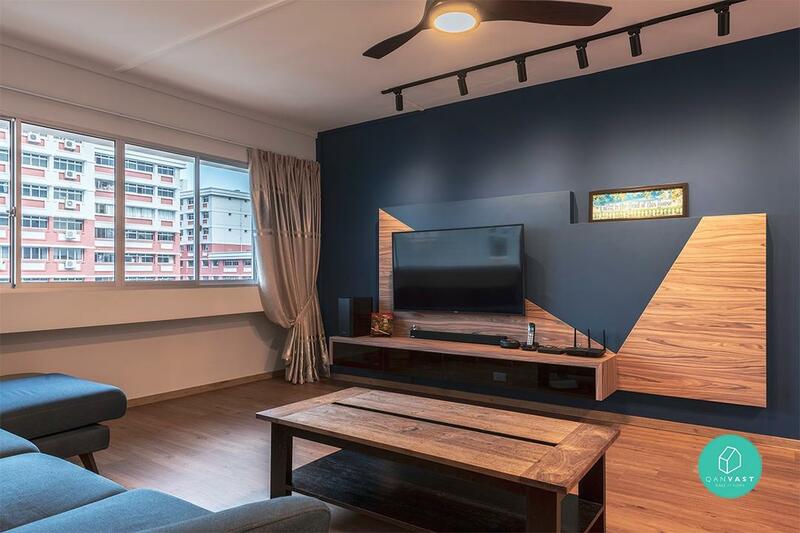 Even before its much-needed makeover, Molly's Pasir Ris HDB resale had all the makings of a great family home with an open, airy ambience as well as plenty of usable living space as its hallmarks. However, due to its age and the changing lifestyle needs of her family, a complete makeover was clearly in order. 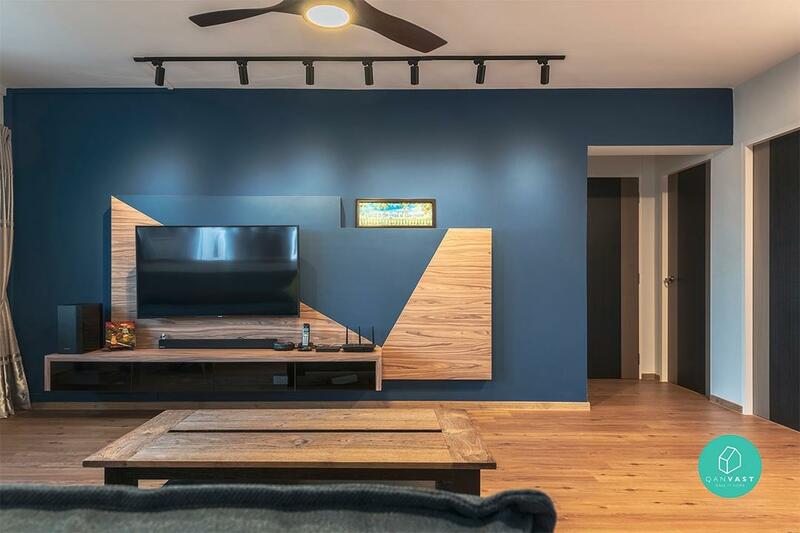 To find out more about Molly's Renovation Journey, we sat down with the homemaker herself to chat about her experience working with Ascenders Design Studio, and how it led to a freshly-revamped home that's almost as good as new. Centre, Molly and her son. Left and right, Ascenders Design Studio designers Sherman and Jason. Molly (M): I live here with my husband, my son and our helper. 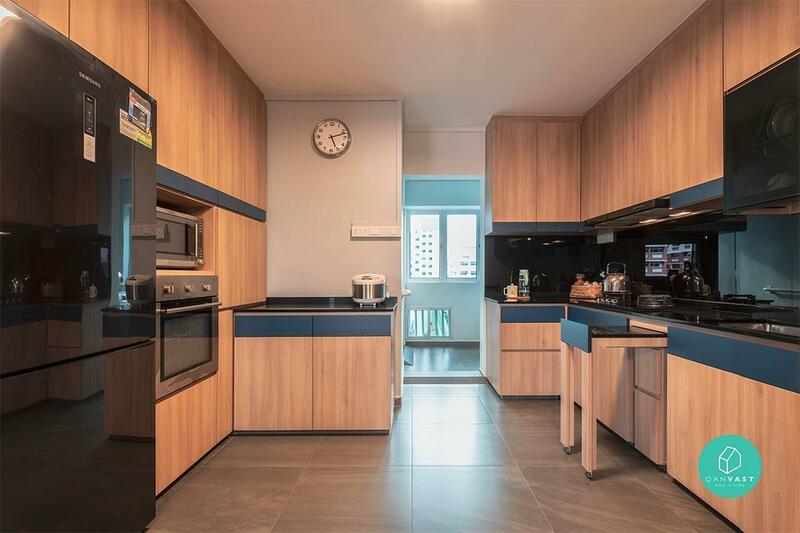 This HDB flat has been our home for 17 years, so we felt that it was time for a refresh. M: Previously, the house only had a total of two bedrooms that were shared between the four of us. 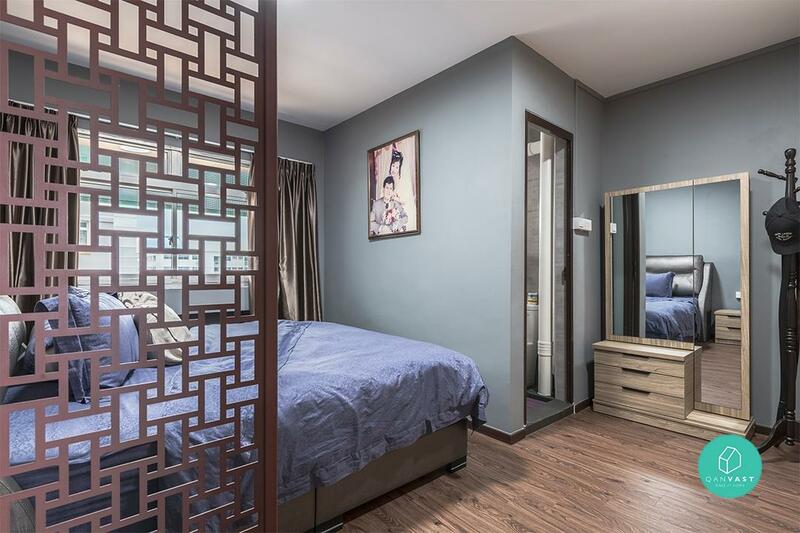 We realised that we could use the privacy of another bedroom, which is one of the main reasons why we chose to renovate. Easy maintenance was another renovation requirement that we had, and that meant having more organisation solutions, so our house would be less cluttered. 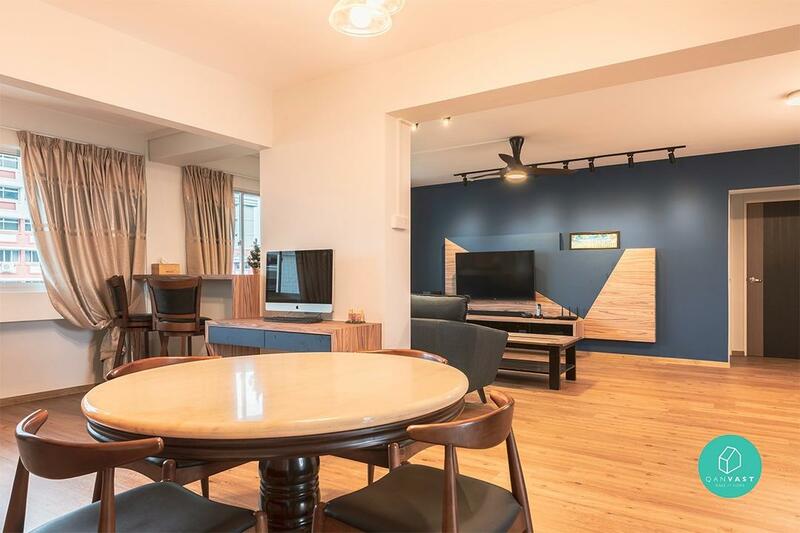 M: The two bedrooms were split between my husband and myself as well as my son and helper - this was an arrangement that we felt could benefit from a change. We were also concerned that the electrical wiring in the house would get worn out as time went by; a major revamp in that area would go a long way in easing our worries. I am an avid baker as well, but there were times where I felt it was hard to move about in the kitchen due to the clutter and tight corners; the lack of storage there was also an issue for me because I have plenty of baking equipment. M: Most of the design input came from our designers from Ascenders, Jason and Sherman. I accepted most if not all of their suggestions because they were logical and practical in our situation. I too had the opportunity to find out about their work because my brother's home was renovated by Ascenders as well. M: After the renovation, the kitchen now has new countertops and enough storage compartments for my baking tools. On top of that, there's now extra preparation space beside the hob: Ascenders installed a mini pull-out table, which my maid uses as a convenient work surface whenever she needs one. The living room's cosy corner was an idea from them too. My husband and son really like this part of the house and they frequently have their meals there while watching TV. 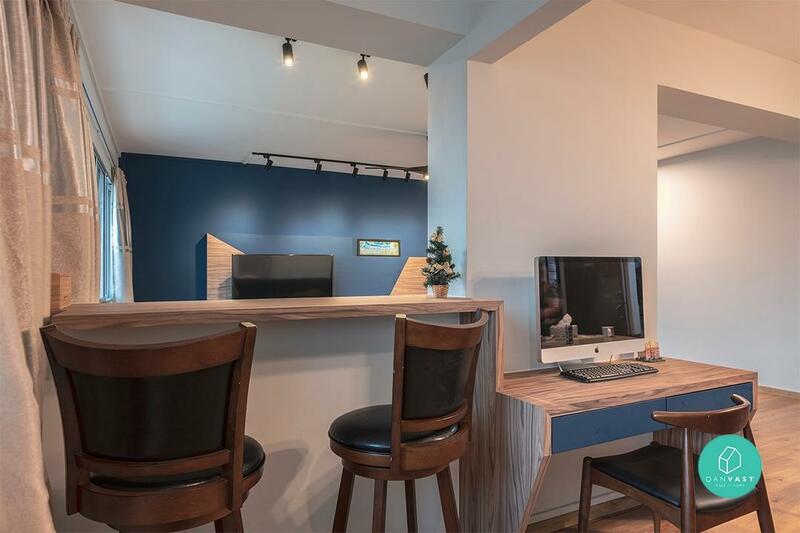 That area was originally occupied by a built-in shelf, which was removed during the renovation so that we could accommodate a workstation there too. Aside from that, the master bedroom and common bathroom also saw a couple of important changes. 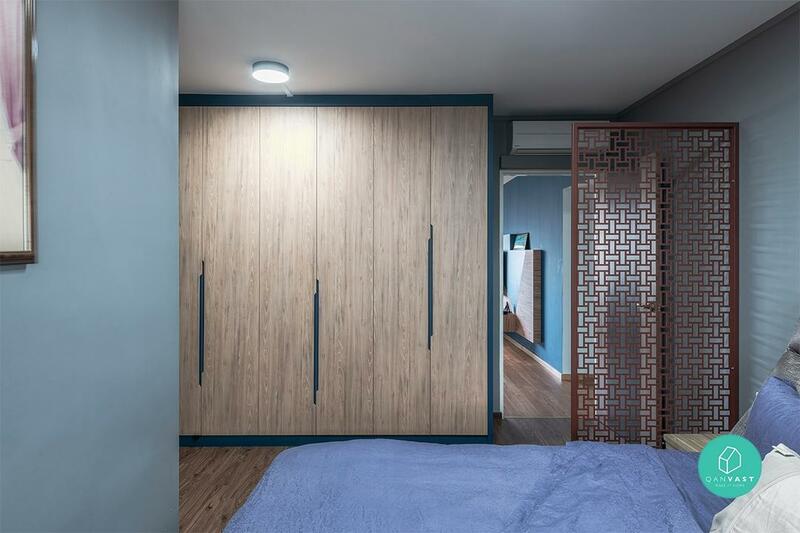 To create a third room for my son, a wall was constructed to partition the master bedroom. 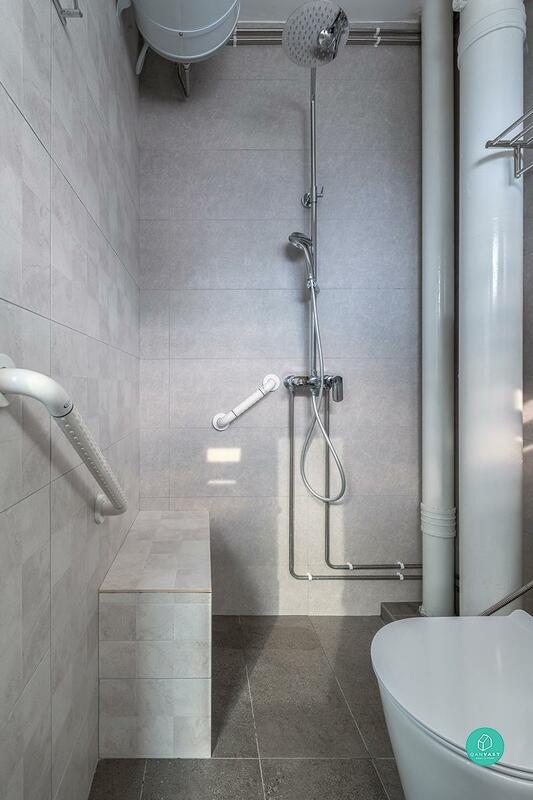 For the bathroom, disability-friendly features allowing my son to bathe himself independently were included, such as safety rails and a built-in seat. M: I first got to know of them through my brother. I was convinced to work with Ascenders as the quality of work they did at his home was great. My husband and I were also impressed by their sincerity right from the very first time that we met. M: Both Jason and Sherman were very accommodating, and eager to help on matters that we needed assistance with. For example, when we needed a space to store our belongings while the house was being renovated, they recommended a storage service, and saved us the trouble of looking for one ourselves. 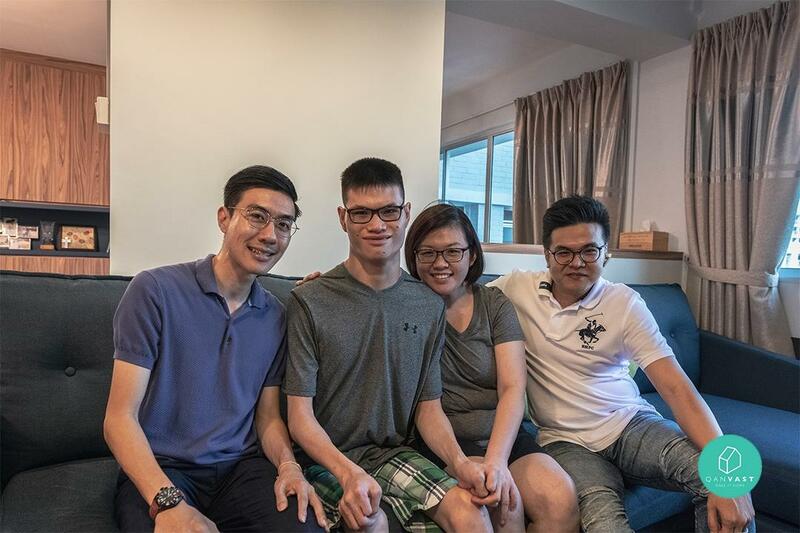 They are hardworking too, there was initially a delay that would have pushed back the renovation's completion, but Ascenders managed to persevere and met the original deadline nonetheless. Their after-service is top notch as well. Two weeks after moving in, we asked for soft-closing mechanisms to be installed within the workstation's drawers and they readily agreed to our request; the same goes for a flawed vinyl tile in the living room that we wanted replaced. M: I really like the living and dining areas now after they have been merged with the balcony. They can accommodate much more people than before, I am really looking forward to holding some gatherings here in the future! This article was first published in Qanvast.